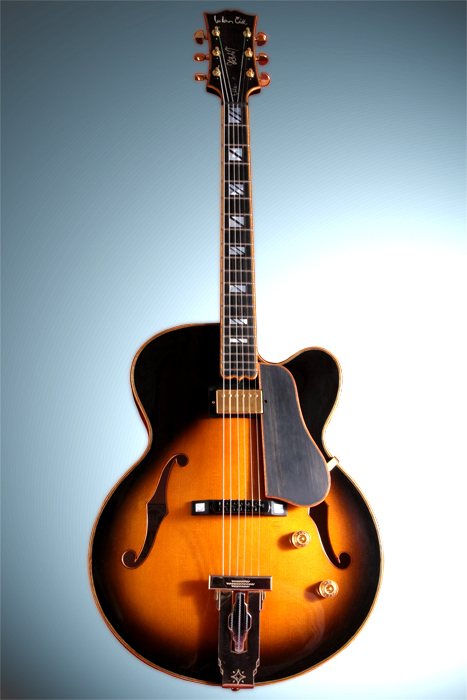 Shape: Archtop acoustic /electric guitar. 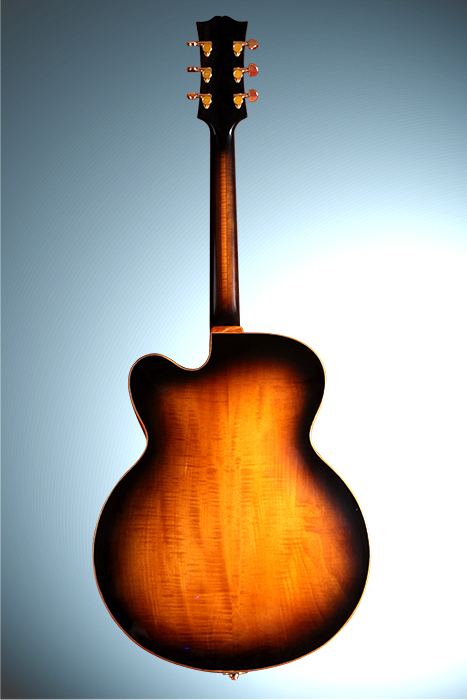 Body: Traditional wood combination for archtop guitars - spruce and maple with original braces layout. 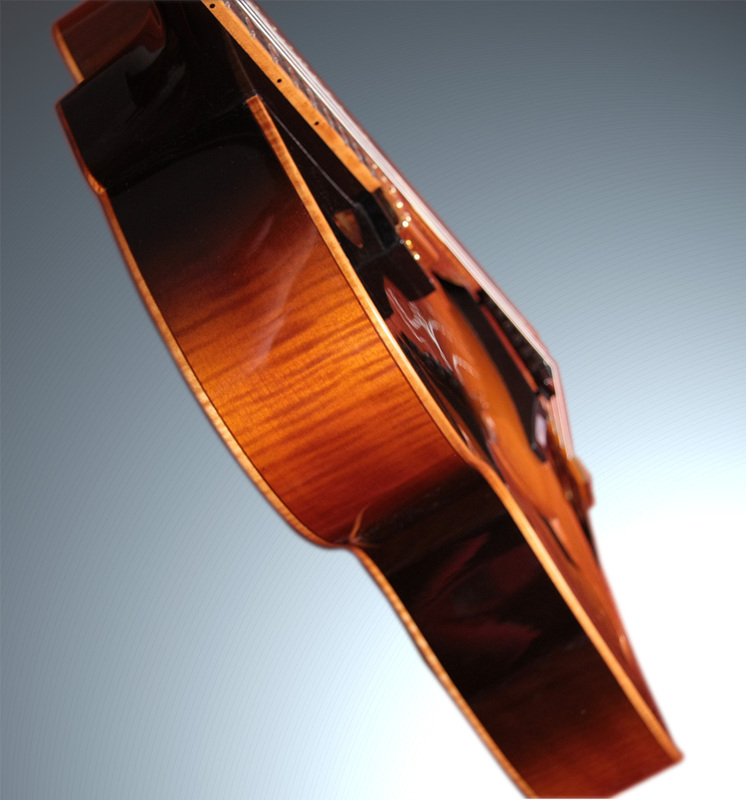 Binding is combination of curly maple and ebony. Soundboard: High grade sitka spruce. Back: Light-high grade curly maple colored with spirit stain. Neck: 5 piece curly maple and mahogany with ebony veneer over head (top and back). The neck shape is "soft V" to "soft D". 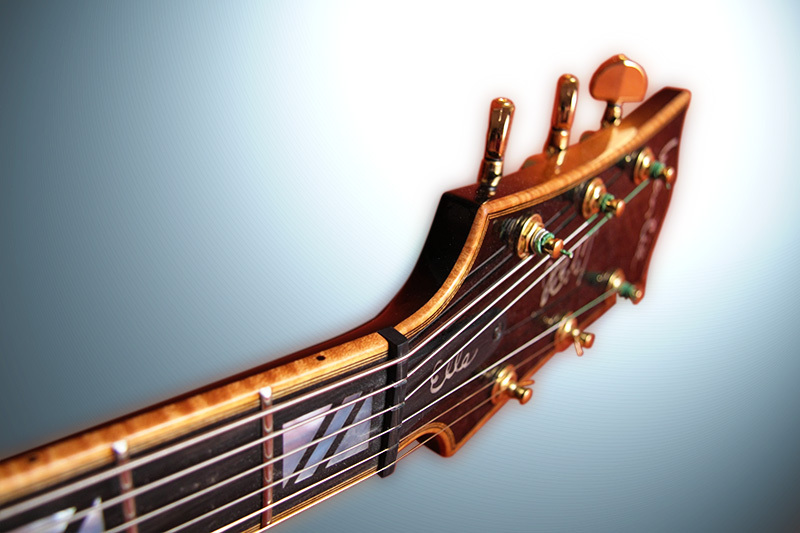 Ebony fingerboard is inlayed with traditional pearl motive. 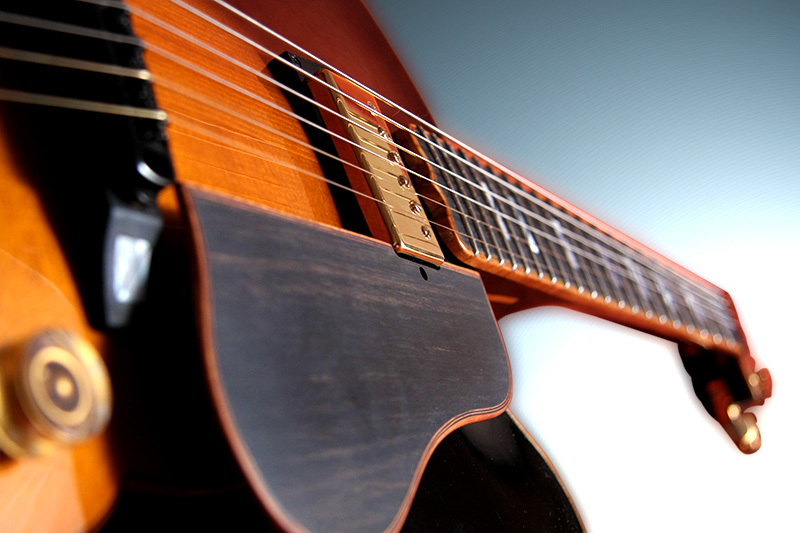 Frets are "jumbo" size (2.8 mm x 1.10 mm). Fingerboard radius is 12". 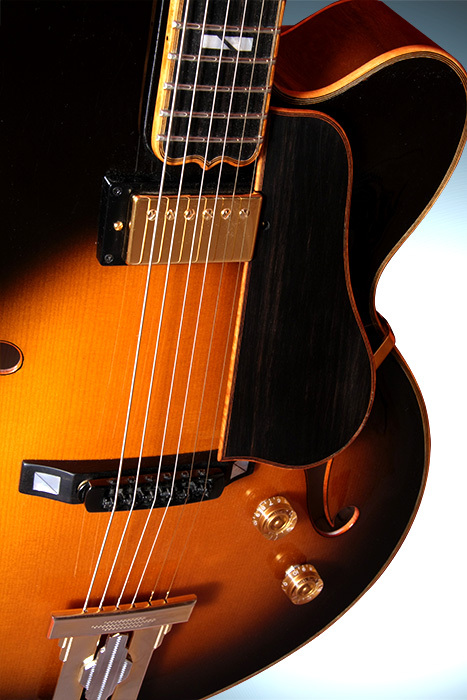 Sound: Full and rich sounding archtop guitar where is big accent at acoustic sound with extra braces for feedback resistance. 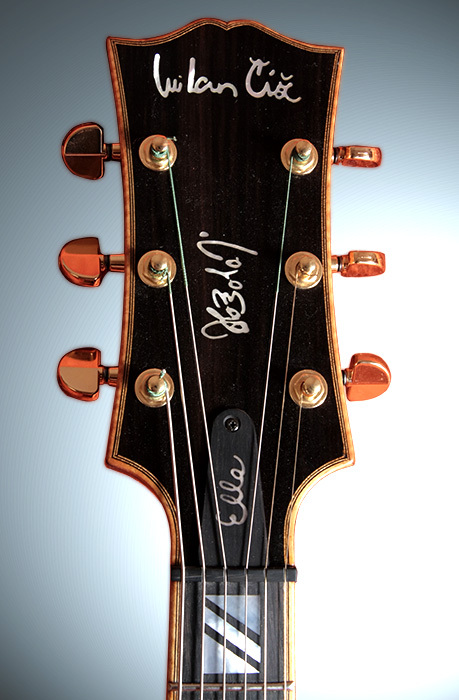 The guitar was made for great player Marek Homola as his signature model. Body size: 17"x 3 1/8 "